Houston swimming pool filters need regular cleaning to work efficiently. Think of the pool filter like a filter in a vacuum. If it’s all clogged and dirty, efficiency will go down and things won’t get sucked up. An inefficient pool filter creates a host of other problems in the pool which can be quite pricey to fix, so keeping the pool filter clean is one of the most effective ways that your Houston swimming pool will operate at its best. 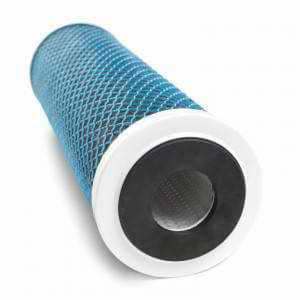 The most common type of pool filter is a cartridge filter, and keeping it clean is relatively easy. When it’s time for a cleaning, grab the hose, gently remove the filter and start washing — but not harshly, a gentle stream will do. Using a high pressure nozzle can tear the filter or drive debris deeper into the cartridge rendering it useless. There are also some cleaning solutions specially designed for your filter system. Many of these solutions require the filter to soak in it for maximum benefit, so be sure to block some time for this and to rinse off the solution thoroughly after the recommended time. After a few routine cleanings, if you still notice that your Houston swimming pool is not functioning at its best, it’s probably time for a new filter. There are many options now available that you’ll probably find to be much more efficient and easier to clean than your old pool filter. There are times throughout the season that you’ll find your Houston swimming pool filter needs to be cleaned more often, like after a swim party when your pool has received higher “traffic” and during hurricane season when high winds and heavy rains bring debris and bacteria into your water. Because we enjoy a longer swim season in Houston, swimming pools in our area can sometimes require more routine care. But the benefits of a beautiful, crystal clear pool sparkling in the Houston sun are well worth the effort!